It is remarkable that until recently sonographic studies of the bowel have not reached the diagnostic level that sonography has attained for other parts of the gastrointestinal tract. Gas posed the major ob­ stacle to obtaining consistent quality results. Julien Puylaert has de­ veloped a graded-compression technique which is not only able to eliminate gas artifacts, but also - by reducing the distance between the transducer and the bowel - allows the use of high-frequency transducers. 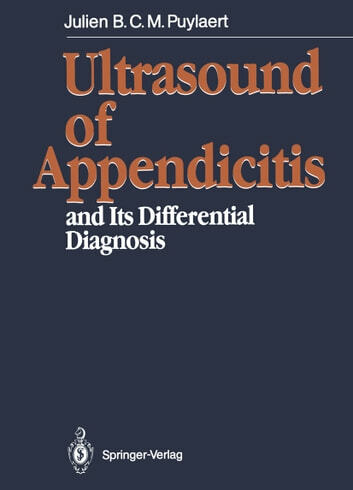 Since 1986, when we were barned by his innovative pa­ per on sonographic evaluation of acute appendicitis, he has demon­ strated the eminent diagnostic impact of sonography in right lower quadrant pathology in a great number of publications; his excellent diagnostic results have been confirmed by numerous other authors. 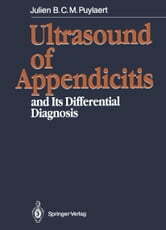 I have reflected on the conditions that were the basis for this re­ velatory development in gastrointestinal sonography. The enthusiasm and dedication that Julien Puylaert shows toward diagnostic radiolo­ gy are unsurpassed. This is a family tradition - his father, Professor Carl Puylaert, is a honorary member of the Radiological Society of North America. Furthermore, the younger Dr. Puylaert has the good fortune to work with associates in the Westeinde Hospital who under­ stood at an early point what was going on; they made it possible for him to devote much of his time to his beloved subject. Finally, he has always been convinced that the whole sonographic examination should be performed by the radiologist.